Fresh flings or half-a-century anniversaries: it doesn’t matter how long you’ve been together, taking off on a lovespun getaway is always good for the soul(s). 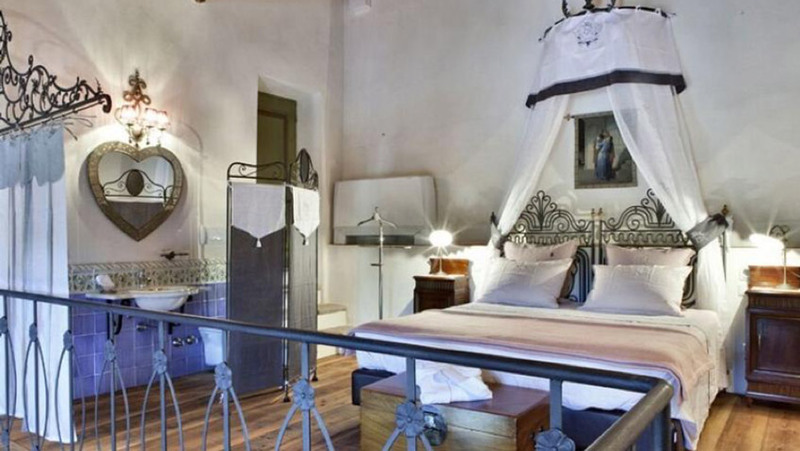 With candlelit dinners, king-size beds and wall-to-wall views, these romantic hotels in Europe are like stepping centuries back into incomparably charming times. Deliciously atmospheric, sumptuous stays with guaranteed butterflies at no extra cost. Let’s go. 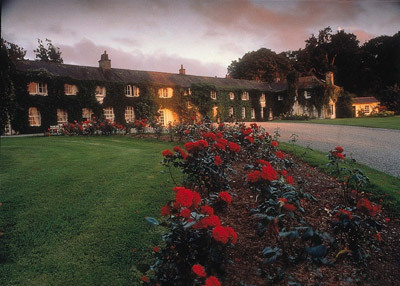 Stroll hand-in-hand with your sweetheart in the storybook-style walled garden of Rathsallagh House. 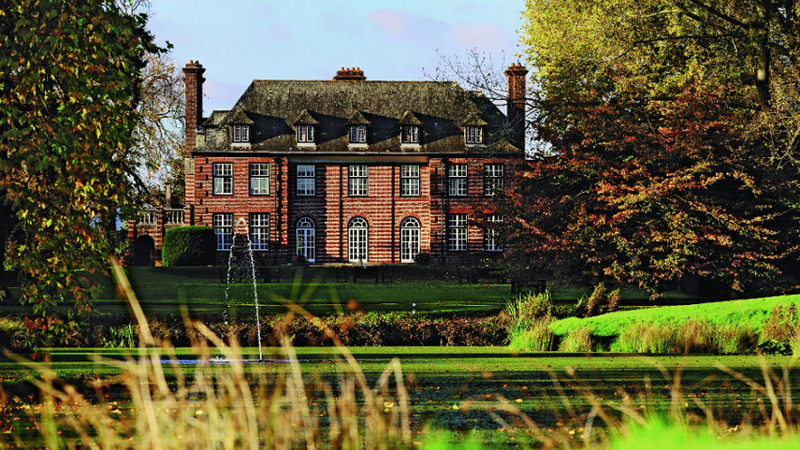 The four-star country house was converted from Queen Anne stables in 1798 and has won numerous awards for its sublime surroundings and services – from the National Breakfast Awards (won a record four times) to the our very own Wedding Experience Award. 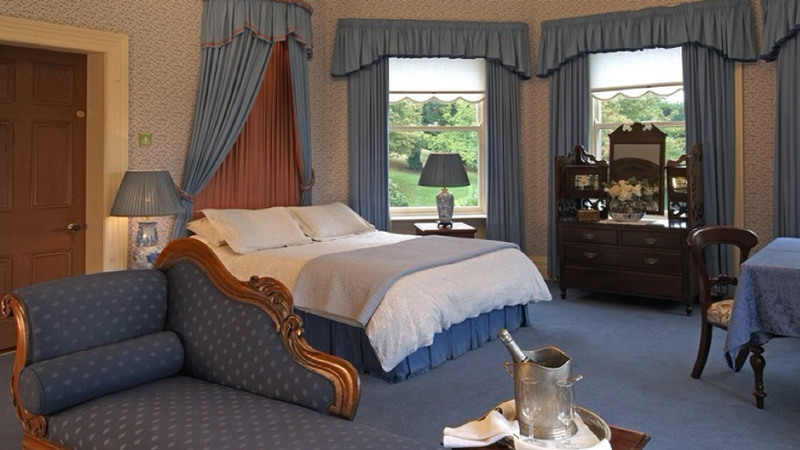 You know the drill here: standalone bathtubs, romantic suites, open fires, Irish country house cooking and glorious historic grounds. When your rural lakeside stay overlooks lush green hills and glass-like waters, you know you’re going to have to pop a new memory card in the camera. It’s epic Irish beauty to the core. 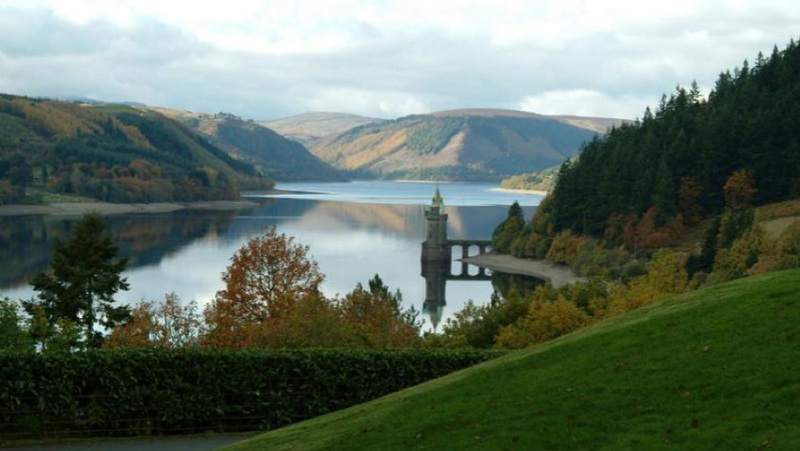 The only things that competes with the view are the country-house comforts, lip-smacking gourmet and exotic spa treatments at Lake Vyrnwy. Everything is tailored to you – and with log fires, an impeccable service and 24,000-acre estate to roam, you’ll never want to leave. Bells, whistles, fanfare and fireworks aren’t what make up romantic hotels in Europe: it’s understated beauty that gives a residence that something special. Gasthof zum Hirschen doesn’t try hard to be lovely – it’s etched deep into the bones of the building, first built in 1648. Simple rooms, classical dishes and straight-up natural beauty: this kind of charm cannot be replicated by even the flashiest hotel chains. 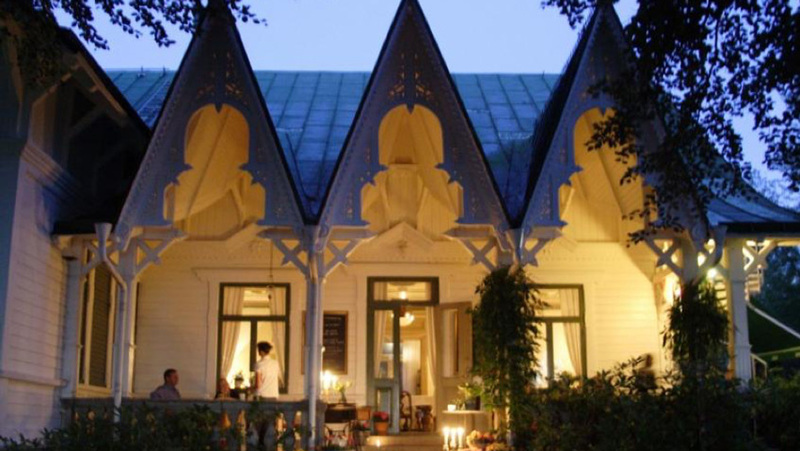 Couples craving romantic hotels in Europe will find heaven in Villa Sjötorp. Enter your Swedish stay-by-the-sea and fall in love with one of 10 charming, individually decorated rooms. It’ll be difficult to leave, but other delightful things to do include dining alfresco overlooking the waves or feeling like kids again on the swing in the middle of the garden. 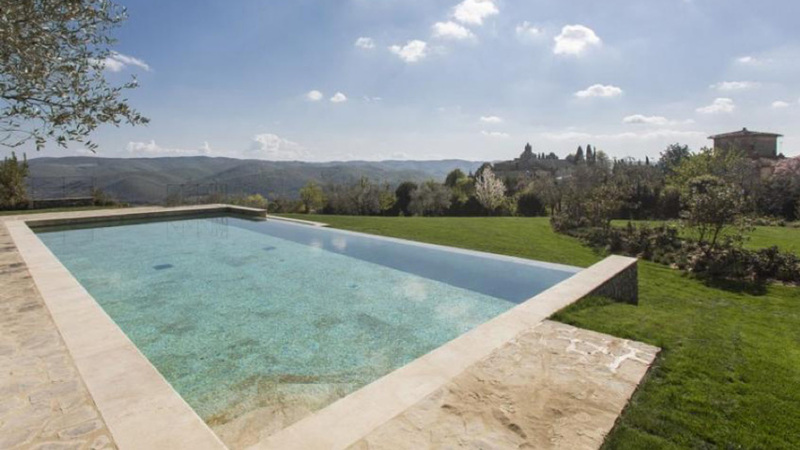 No romantic Tuscan break would be complete without candlelit meals, historic rooms and the rolling hills of Chianti. Villa Le Barone spoils guests with it all. With blooming rose gardens, serene swimming pool and dinner alone together in the ‘heart garden’ terrace, your Italian sojourn will be transformed into a dream you’ll remember all your life. Antiq Palace does boutique beauty like no other in Ljubljana. As the 16th-century former residence of several noble families, its cultural heritage is protected – meaning you can feel every ounce of the absorbing history within its walls. 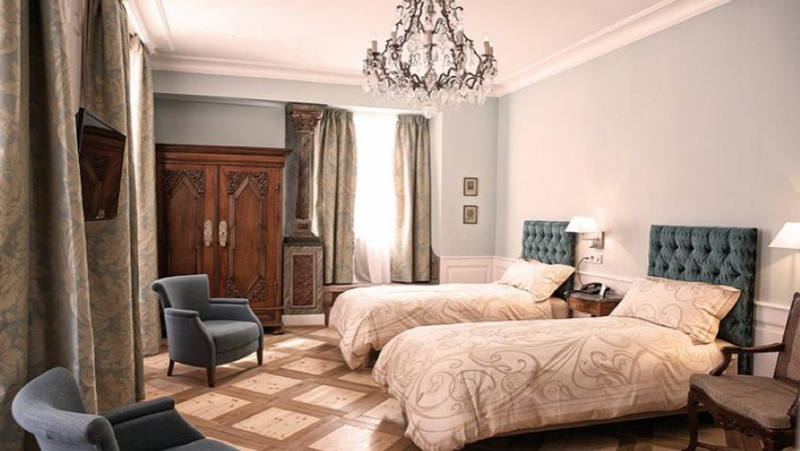 Expect frescoes, chandeliers and other authentic features throughout. Heart-shaped mirrors aren’t the only features that make L’Unicorno a lover’s dream. The 17th-century hotel has an exclusive, old-world energy that makes it the ultimate hideaway for couples who want to take time out together. It’s the oldest house in the hamlet of Macesina (a small farming village in Bedizzole), just a few minutes from Lake Garda, surrounded by lush vineyards, olive groves and farmland for miles. Snuggle up with your other half in front of a blazing fire, lounging lazily to the sound of a tinkling grand piano in the drawing room of this elegant Victorian country house. 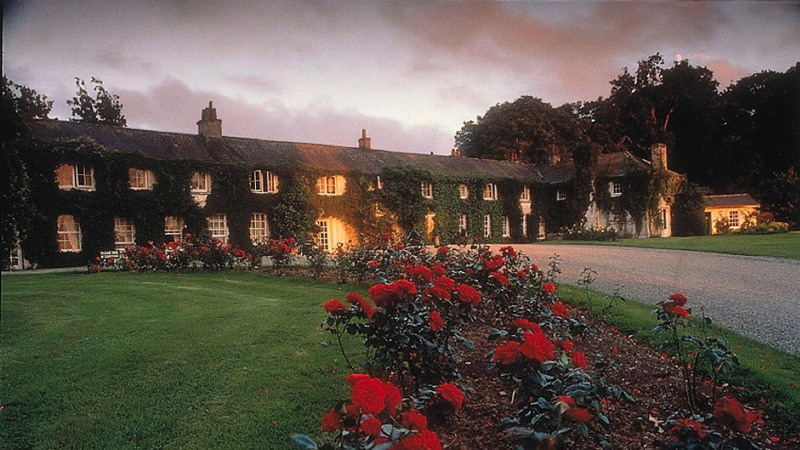 Voted most Romantic Hotel in Northern Ireland, Ardtara Country House boasts nine individually decorated bedrooms complete with antiques, working fireplaces, king-size beds and swooning views of the surrounding grounds and gardens. A grand old beauty, without the stuffy attitude, dusty antiques or faded furniture. It may date back to 1400, but Llansantffraed Court is bursting with modern spirit that allows you to do your own thing. 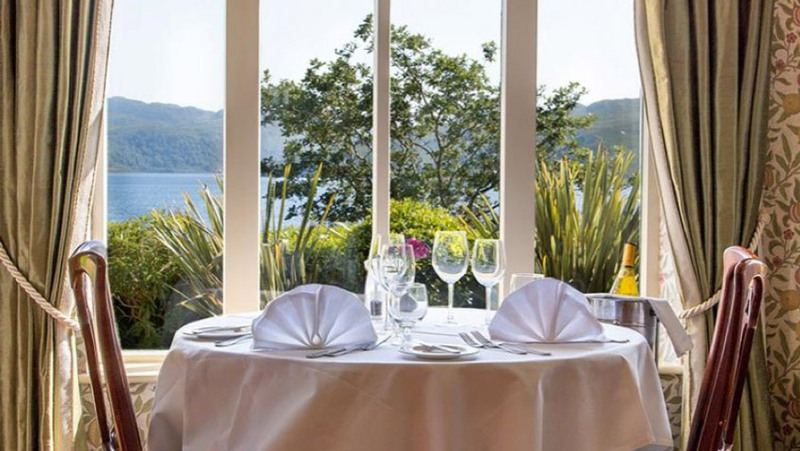 Whether that’s wandering the 20 acres of manicured grounds (spotting the trout in the lake as you go) or delighting your taste buds in the hotel’s award-winning Court Restaurant, you’ll fall in love all over again at this historic haven. It’s as charming as it gets, it’s in the heart of Strasbourg, and it suits its soul-stirring Alsatian location to the ground. 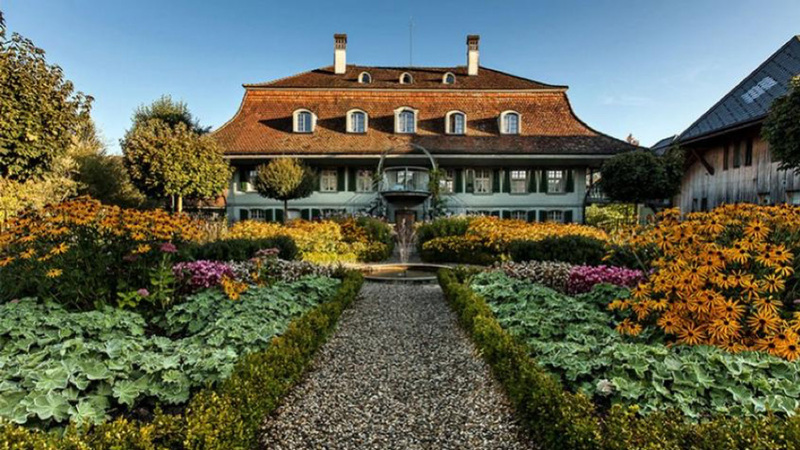 Add a luxurious spa to the chandelier-topped rooms of this 16th-century bourgeois house and Le Bouclier d’Or has all the ingredients to be one of the most romantic hotels in Europe. Switzerland contributes greatly to romantic hotels in Europe, but none of them quite pull off romance like Romantik Hotel Bären. 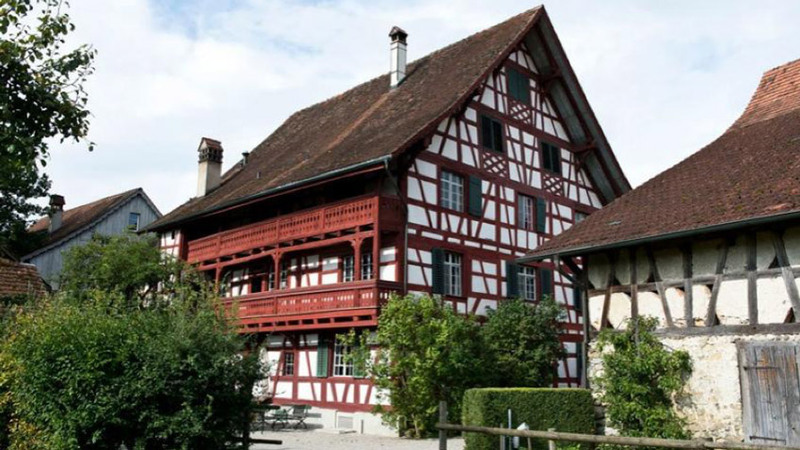 With a building that dates back to 1752, you and your love will be transported back to simpler times. Crisp white bedding will have you lingering in bed that little bit longer, that is – until you smell the alluring breakfast awaiting you in the charming restaurant downstairs. Outside of Oslo’s frenetic centre, this turreted treasure delivers a slice of serenity and lashings of stomach-fluttering romance. Dating back to 1767, Hotell Refsnes Gods provides a traditional Norwegian experience, with an eye-popping wine cellar, unique art collection and views that make the heart sing. 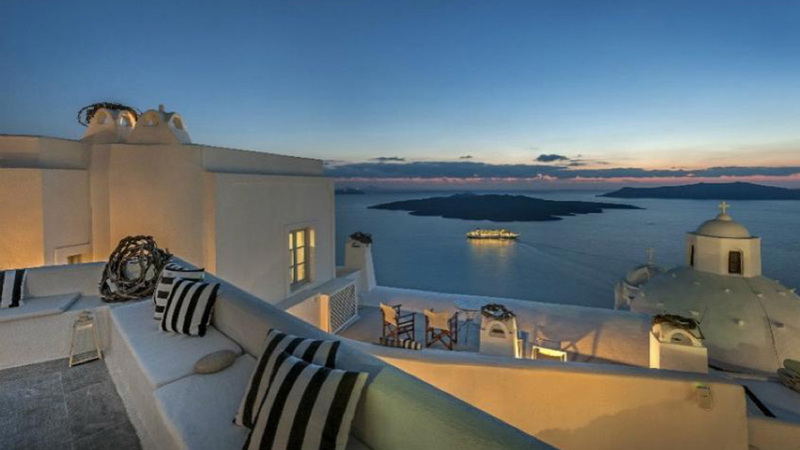 Every traveller has a similar postcard-perfect image of Santorini in their mind. It’s a scene stuffed with blue-domed homes, harmonious island landscapes and charming cobbled pathways. 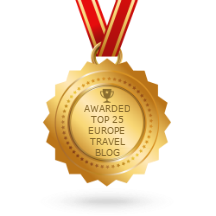 That’s precisely what you’ll experience at Aigialos Hotel, a deserving winner of our award for the most romantic hotel in Europe in 2014. It’s practically impossible not to propose here. 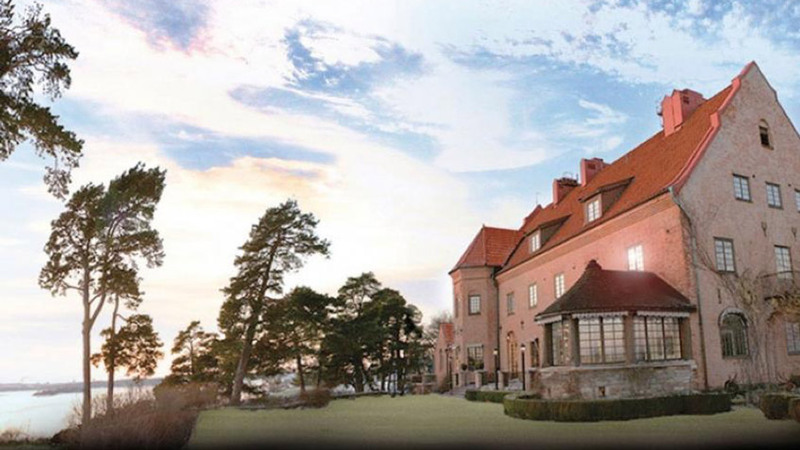 Romantic hotels in Europe don’t get any quainter than this natural beauty. 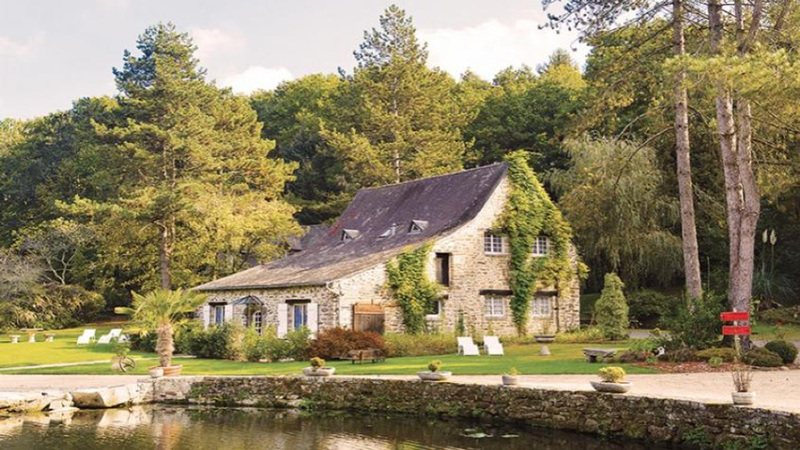 Moulins du Duc is a soulful old mill in an enchanted forest between Lorient and Quimper. 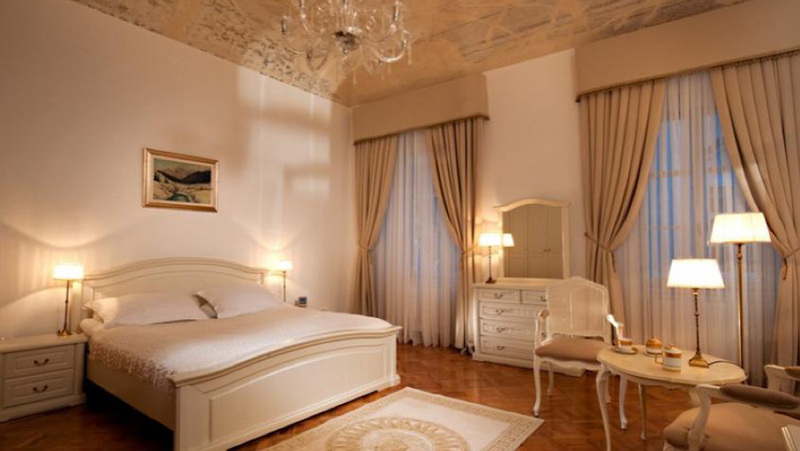 Four suites and 25 rooms are scattered throughout the sprawling estate, which dates back to the 16th century. Dining is exquisite here – even the Queen of England has stopped by for lunch. No detail has been spared across this former wellness hotel in the Albula valley. 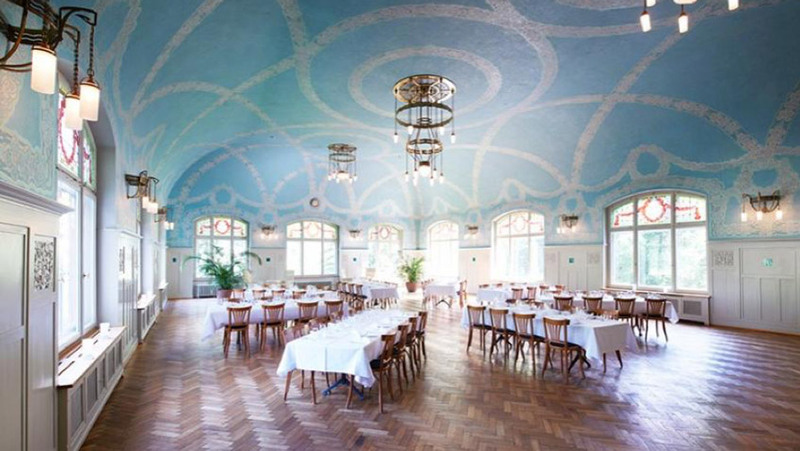 Kurhaus Bergun has been gently renovated to remarkable standards, without losing the Art Nouveau building’s century-old character. Everyone is wowed by the heart-stopping ballroom – a beauty in blue – as well as the unusual collection of lighting fixtures throughout the property, which this romantic Swiss mansion has won awards for. 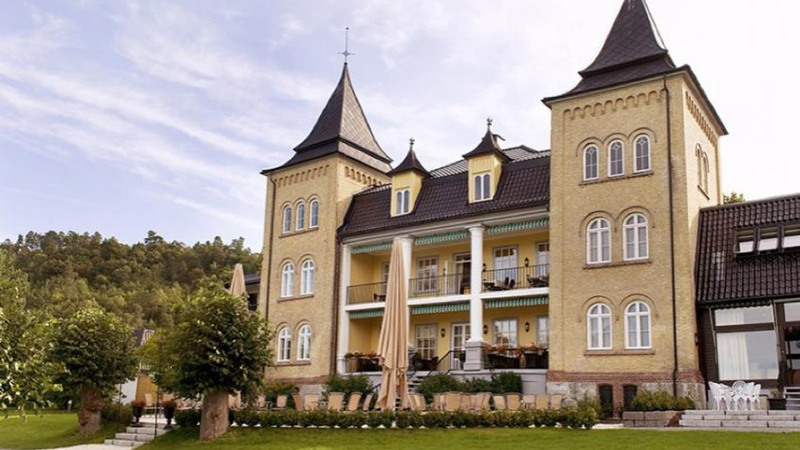 If you and your other half share a love of wine, Högberga Gård should be top of your to-stay list of romantic hotels in Europe. It may be firmly Swedish – tucked into a cliff top overlooking the inlet to Stockholm – but the time-twisting stay is home to the first Tuscan-style winery in the country. From soaking up the magical atmosphere of the China Room to the sipping bubbles in the jacuzzi-with-a-view, it’s small wonder couples return here again and again. 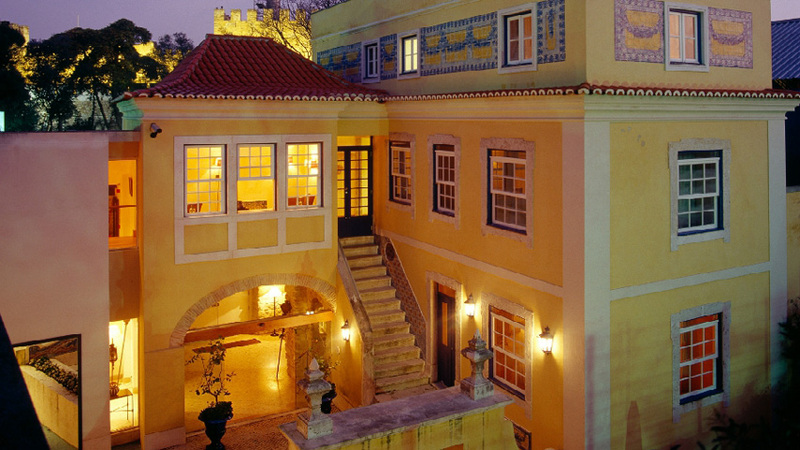 There’s no better base when you’re visiting Portugal’s capital than Solar Do Castelo – a boutique gem nestled within the walls of St. George’s Castle, on the site of the former Alcacova Palace in Lisbon. It may be small, but it’s delightful yellow walls, resident peacocks and enchanting history pack in enough charm to contend with the largest and grandest romantic hotels in Europe. Perfect days merge into perfect nights when you check into Esperas. 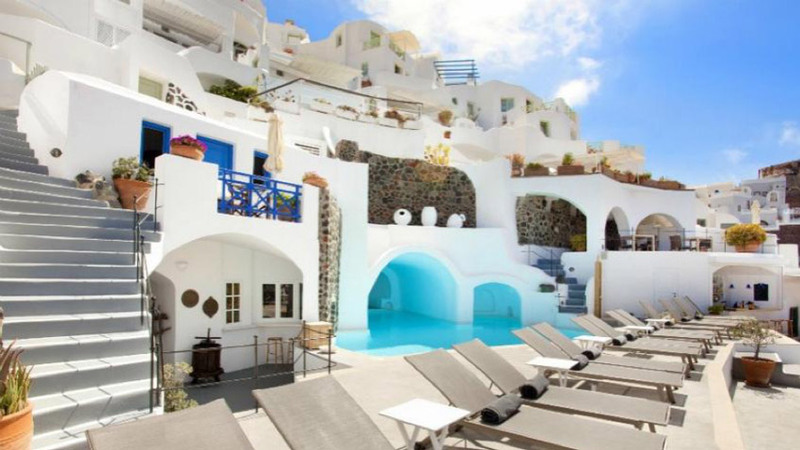 We love it so much we gave it our Most Romantic Hotel Award in 2015 – you’ll adore it for its magical setting on the cliffs of Oia, luxurious suites with jacuzzis and exclusive dining experiences. The cherry on top for couples is Esperas’ unique swimming pool carved into a rock, made for dreamily floating away the day with the one you love. P.S. : Be in touch and sign up now for our weekly newsletter.